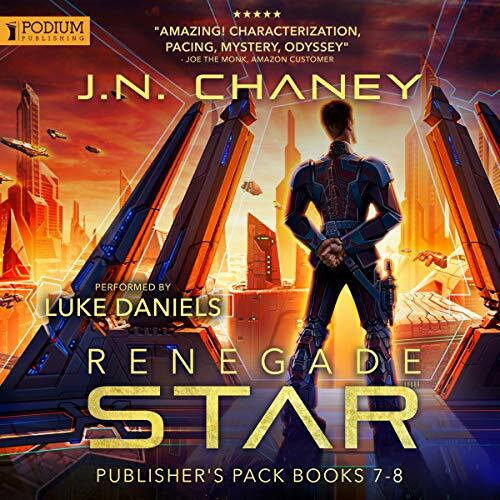 Renegade Star: Publisher's Pack 4 contains books seven and eight of the Renegade Star series. Welcome to the Old World. Captain Jace Hughes and his crew have finally reached their destination: Earth, the mythical lost homeworld of humanity. It was said to harbor great wonders, fertile land, and beauty beyond comparison, but the reality is far, far stranger than any story. The Earth isn’t what they thought, and it must be rebuilt. Using the newly acquired Galactic Dawn as a refitted transport vessel, Jace hopes to bring help from displaced worlds whose inhabitants can no longer sustain themselves. He’s going to need all the help he can get to jumpstart this new colony. That means farmers, workers, soldiers, and, perhaps most importantly, families, all of them working together to build a home they can call their own. But the Earth harbors many dangerous secrets, each one more deadly than the last. Secrets that could mean the end of everything Jace and his friends have worked so hard to achieve. The time for exploration and discovery has begun. Try not to get yourself killed. People are dying. Shortly after Captain Jace Hughes and his team recover hundreds of surviving Eternal refugees, disaster strikes. A recently unearthed fauna dome, one of many biological arks on Earth, is destroyed and several people are killed. All proof points to the Eternals. Meanwhile, shortly after the slip tunnel at the center of the planet is shut down for good, a strange distress signal is detected. It appears to be coming from somewhere on the planet, but the exact coordinates are unknown. Two investigations are launched. One for the saboteur; the other for the source of the signal. 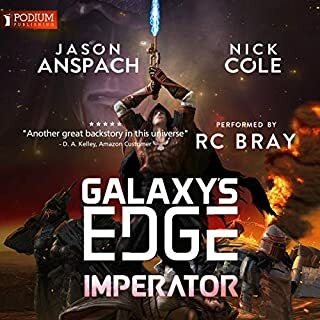 With rising tensions between the colonists and the Eternals, Jace must do everything he can to prevent a bloody confrontation. I love this series. Fun story, great characters. I was glad to hear it was going to be a lot more books coming in the series. I think my ONLY complaint, and its a small one, was there are two characters in the book that were voiced horribly. They sounded like a German yoda, or German Fozzy the Bear hahaha. luckily they where only minor characters, but it was anoying none the less. Anyway, i can't wait for the next installment. But that doesn't mean he's going soft. Not too soft, anyway. This is a worthy continuation to the series, and I definitely hope for many more. One of my favorite parts about these books is that there are so many different characters who play important parts in the plot. That continues to be the case here. Luke Daniels is being pushed to his limits in this one for sure. The only reason I am giving this a 4/5 is because the two books are just a *little* bit weaker than the previous 3 packs. I tend to find mindless robot (trilobite) swarms to be rather unexciting antagonists. I would have almost preferred another deranged Cognitive - indeed for a just a moment there is the possibility of a Cognitive with multiple personality disorder that I was getting super excited about, but... c'est la vie. 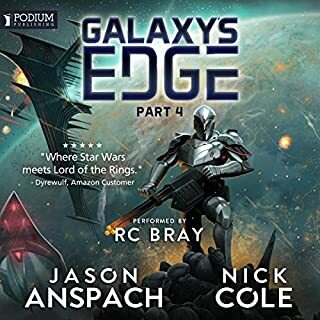 Still, if you enjoyed the previous books, you will likely be happy purchasing this one. One of the good qualities of this series is that the arriving to a (in this case literal) world of endless possibilities isn't the end the story, but merely the staging point. Too many times I've seen sci-fi stories journey endlessly to their destination, often Earth, and upon finally reaching it roll the credits. Wait, where are you going? This was the part I wanted to see! Get back here and world build the rest of it you lazy @#$%! 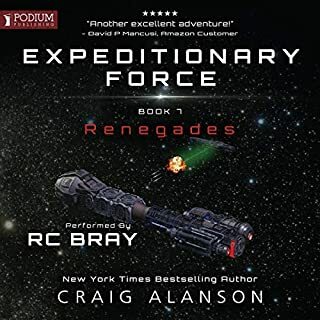 But the Renegade Star series will actually take those events of 'what comes after' and weave it into its ongoing narrative in stride. We've reached Earth, congratulations! Now lets explore what exactly comes next and start the next journey. 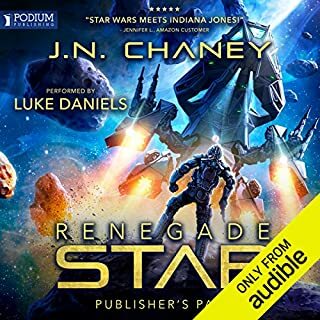 Luke Daniels is one of my top narrators so I'd be hard pressed to give him anything less than 5 stars, but I do have to make one specific complaint. 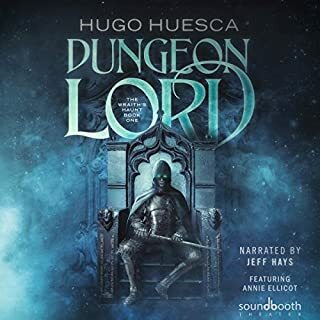 He does an excellent job of crafting a whole library of voices and accents for all the characters he reads for. Sometimes those accents turn out just a bit outlandish, but that's understandable when you're stretching yourself to create more than a dozen unique voices. That being said, a couple of the newly introduced side characters sound like Looney Tunes caricatures. One in particular is supposed to be a fairly important character but she sounds like she should be serving beers at Octoberfest wearing lederhosen 2 sizes too small for her soundingly mannish proportions. If you're reading this Luke, bad Luke, bad! I'll give you a pass this time because you're otherwise excellent. But unless you need to read a character named Bertha I suggest never using that voice again! 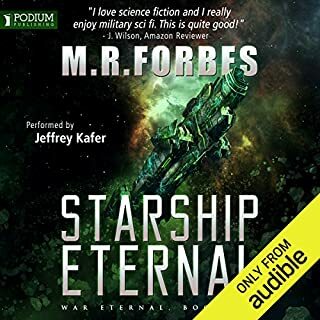 I have over 300 audible books and this is by far one of the best series I own. I would recommend the series to anyone who enjoys a well thought out story line. I have a lot of fun with this series. I've listened to the first 6 books twice and now these two. it's just fun! can't wait for the next to come out! 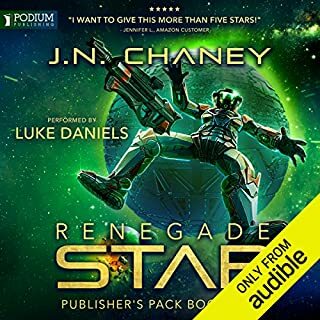 Renegade Star: Publisher's Pack 4 continues to impress with the next two books in the Renegade Star series. The characters have finally arrived at their destination, only to find their new home isn't quite what they'd expected. Then a new enemy is revealed, one that could threaten everything they've worked for. 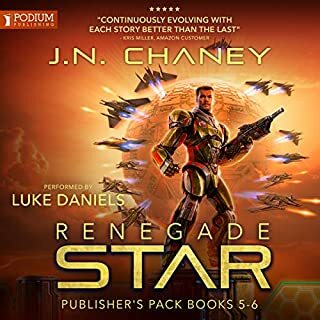 JN Chaney continues to satisfy with fresh storylines and interesting characters. 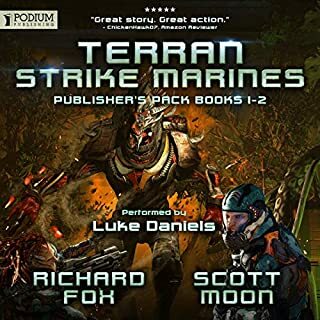 Paired with Luke Daniels' imaginative narrative, it was another one I listened to in one sitting. 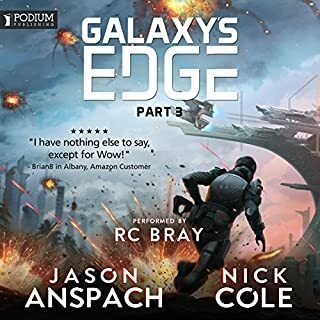 I definitely recommend if you like Sci-fi with a bit of humor. Takes me back to Firefly days, and that always makes me smile. I don't know how, but this story has to be one of the most addictive reads/listens I've ever found. 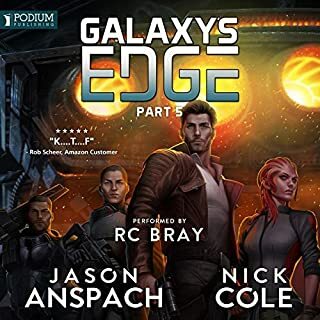 Not only does this one kickstart a brand new arc that feels natural and exciting, but it also somehow finds a way to keep everything fresh and new. The Earth presented here is one of mystery and intrigue, totally different from what we expected to find, and the story becomes about what's there and sets up all these fascinating mysteries. In true Renegade fashion, we don't have to wait long for answers, thankfully, and most of them are given quickly while setting up new mysteries later on. Maybe that's why this series is so good, because it never holds anything back. The action is also here. In every single one of these books, the action has always stood out and that is no different here. We get to see Jace and the crew fight some crazy new threats, which is a thrill to watch. 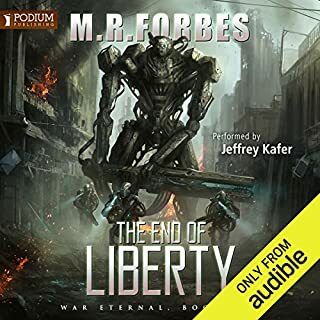 I wish these audiobooks came out as quickly as the ebooks, because the wait really kills me. Looking forward to the next set of books. Bring on the Celestials! There's always something new to keep you in the edge of your seat. I can't wait for the next publisher's pack! overall the story was kinda meh, definitely my least favorite of the series thus far. The rest of the books however are amazing and I highly recommend them. Im not saying dont get these set of books, merely that the story wasnt as entertaining.